Aluminium rail system type SSK 290 with the extraction arm provided with the respective capture elements and associated extraction fans in accordance with BG / BIA / ASA design guidelines are intended for extracting exhaust gases in maintenance and repair services of combustion engines, as well as for emission tests and chassis dynamometers in compliance with the specified max. temperature loads. 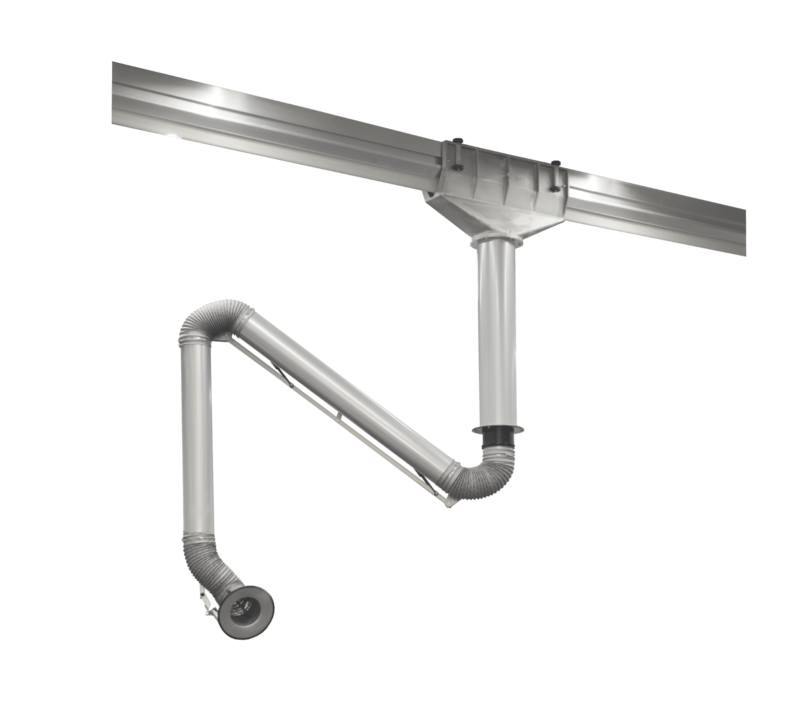 The arm is 360° rotatable, self-locking in every position and has a balanced, pneumatic spring aided parallelogram-building and mounted, powder-coated steel pipes.